Corn broken at the nodes. These plants will not recover. Corn in western Kentucky was blown down from strong winds and storms the past few days. Corn that is broken at a node is not going to recover. If the roots are attached to the soil and the nodes are not broken, then the corn has a very good chance to recover. The following images are from Nikki Bell, Agriculture and Natural Resources Extension Agent in Marshall County, Kentucky. 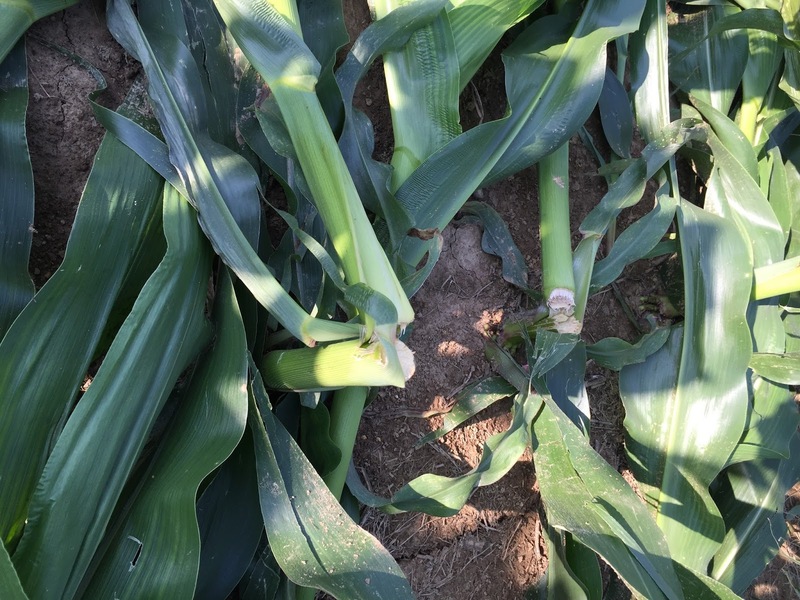 Two corn diseases are already making some news this season. 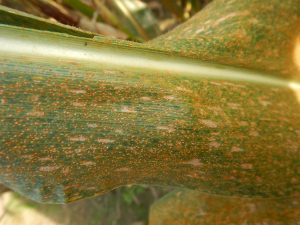 Southern rust and tar spot have been detected in southern states and could potentially make their way to Kentucky this season. So, keeping a lookout for these two diseases is a good idea. For more information on Southern Rust and Tar Spot see the article on Kentucky Pest News . UKREC Extension Weed Science Specialist Jim "Chip" discusses preemergence and post emergence control of Italian rye grass in wheat. Chip's final presentation at Princeton Wheat Field Day before his retirement this summer!